Comerford Law Office provides legal services for veterans seeking veterans’ disability benefits. Many veterans come home with visible injuries, such as a lost limb or major scarring. 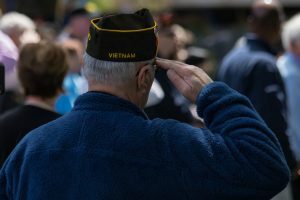 However, a large number of veterans suffer from disabling conditions that are not outwardly visible but that does not make them any less debilitating. In fact, such “invisible” injuries can often be more difficult to deal with since many people do not understand that you have a disability. One such condition is post-traumatic stress disorder (PTSD). Enduring Freedom and Operation Iraqi Freedom – 11 to 20 percent suffer from PTSD each year. As you can see, PTSD is a common disorder and no veteran should feel ashamed or alone in suffering from this disabling condition. Irritability and outbursts of anger. Many of these symptoms lead to withdrawal from the world and can make it difficult for some sufferers to even leave their homes out of fear of triggers. Even if PTSD victims do try to work and engage in regular activities, their anger and sudden fear may impede their success. For this reason, it can be very difficult for veterans with PTSD to earn a living until they are treated. The VA provides benefits for veterans with disabling PTSD. These benefits are critical to support yourself, however, the process of obtaining benefits can be difficult. You can often improve your chances of receiving benefits by seeking help from a knowledgeable PTSD benefits attorney as soon as possible. Many veterans suffering from PTSD believe that few people understand just how much their condition affects their lives. At the Comerford Law Office, we work closely with veterans on a regular basis and have witnessed firsthand just how devastating PTSD can be. As a member of the National Organization of Veterans Advocates (NOVA), attorney James R. Comerford is committed to standing up for veterans and ensuring they receive the benefits for PTSD that they deserve. 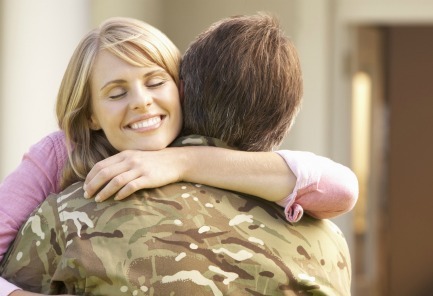 Call a PTSD VA benefits attorney for help at 312-863-8572 today.